Saddle up for Texas NSTA & Win Cowboy Stan! It's time to saddle up and mozy on over to Texas! We're heading off to San Antonio next week (April 11-14) for the NSTA 2013 National Conference. 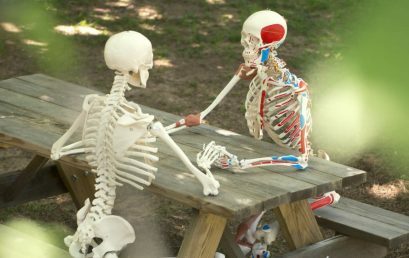 And to celebrate the conference theme of Next Generation Science: Learning, Literacy and Living, we'll be giving away a full size 3B Scientific skeleton to one lucky winner! By Joanna | Anatomy . Education . Medical Education . Where's Stan? Stan Skeleton Turns Out To Be A Girl! By Joanna | Anatomy . Education . Where's Stan?